WhatsApp voice calling has been a trending topic on the web for the last few weeks, earlier we had got many leaks and also, the feature was launched after some tweaks with the app downloaded from official WhatsApp website. Precisely, the version 2.11.528 from Google Play and the version 2.11.531 downloaded from the WhatsApp official website could make calls. And the thing turned out to be invited based, only people who got the WhatsApp voice calling enabled could call their friends and invite them. We also tried it out for a while, but suddenly it has stopped working. Though the voice quality was very average on 2G, on 3G the voice was crisp and clear. We also tried out best to invite people, but it stopped suddenly. looks like WhatsApp voice calling feature was under test and so they removed it too fast. 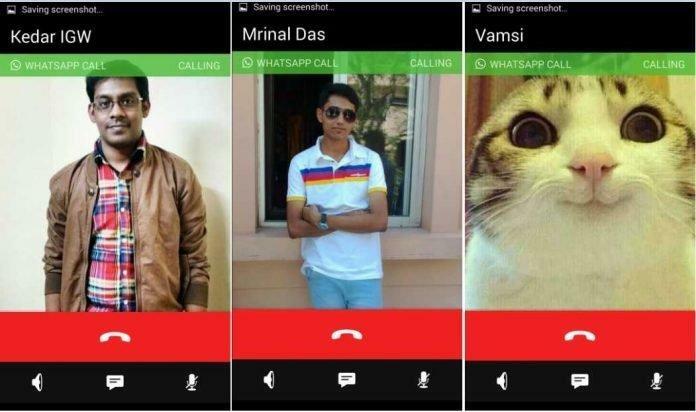 Now, you can not send invites to others by calling them on WhatsApp. That means, no more invites and no voice calling for all. Earlier, we had posted some tweaks which let you make calls but WhatsApp has patched everything and now WhatsApp voice calling is completely dead. However, as it has been confirmed that they are working on this feature for a few while , expect this feature become alive within a few weeks or even it may be available to public by the end of this month. Who knows? May be just a few minutes later, or may be weeks later.